Finn temporarily becomes Princess of the Rock Kingdom as a favor for Rock Princess, inadvertently starting a war. When Finn is asked to kingdom-sit for a neighboring Rock Princess, he’s excited to take a break from his responsibilities back home, until the Underground Kingdom turns to him with pressing matters. Thrown into the role of ‘princess’, Finn’s adopted kingdom decides to declare war on Princess Bubblegum! 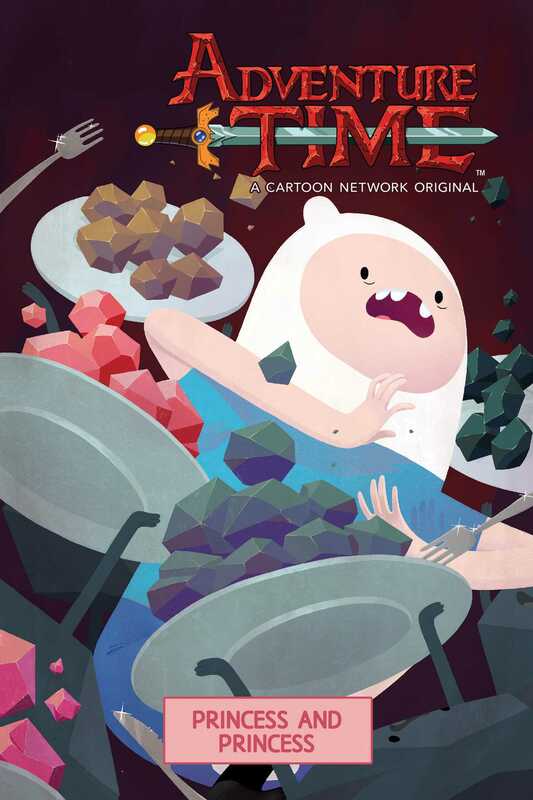 Rocks and a hard place make up this all-new Adventure Time tale written by Jeremy Sorese (Curveball, Steven Universe) and illustrated by Adventure Time veteran Zachary Sterling. Don’t miss out on this action packed journey based on the award-winning show from Cartoon Network!